Is the residential status of a person relevant for determining the taxability of the income in his hands? Yes, the residential status of a person earning income is very much relevant for determining the taxability of such income in his hands. 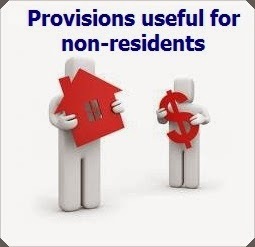 Hence, residential status plays a vital role in determining the taxability of the income.? What are the different classes of residential status prescribed under the Income-tax Law for an individual? Will a person holding Indian citizenship be treated as a resident in India for the purpose of charging Income-tax? The Income-tax Law has its own set of provisions for determining the residential status of a person. Thus, while determining the residential status of a person under the Income-tax Law, the facts like Indian citizenship, Indian passport, etc., have no relevance. From the point of view of Income-tax Law, a person will be treated as a resident in India if he satisfies the criteria specified in this regard under the Income-tax Act. ? What are the different classes of residential status prescribed under the Income-tax Law for a Hindu Undivided Family (HUF)? What are the different classes of residential status prescribed under the Income-tax Law for a person other than an individual or a HUF? Every year the residential status of the taxpayer is to be determined by applying the provisions of the Income-tax Law designed in this regard (discussed later) and, hence, it may so happen that in one year the taxpayer would be a resident and in the next year may become non-resident and again in the next year the status may change or may remain same. How to determine the residential status of an Individual? Step 1 given below will ascertain whether the individual is resident or non-resident and step 2 will ascertain whether he is ordinarily resident or not ordinarily resident. Step 2 is to be performed only if the individual turns to be a resident. Note : Condition given in (2) above will not apply to an Indian citizen leaving India for the purpose of employment or to an Indian citizen leaving India as a member of crew of Indian ship or to an Indian citizen/person of Indian origin coming on a visit to India. A person is said to be of Indian origin, if he or any of his parents or grand-parents (maternal or paternal) were born in undivided India. He is resident in India for at least 2 years out of 10 years immediately preceding the relevant year. His stay in India is for 730 days or more during 7 years immediately preceding the relevant year. If the individual satisfy any one or both the conditions specified at step 1 and satisfies both the conditions specified at step 2, then he will become resident and ordinarily resident in India. If the individual satisfy any one or both the conditions specified at step 1 and satisfies none or one condition specified at step 2, then he will become resident but not ordinarily resident in India. If the individual satisfy no conditions satisfied at step one, then he will become non-resident. How to determine the residential status of a HUF for the purpose of the Income-tax Law? To determine the residential status of a HUF, the first step is to ascertain whether the HUF is resident or a non-resident. If the HUF turns to be a resident, then the next step is to ascertain whether it is resident and ordinarily resident or is resident but not ordinarily resident. Step 1 given below will ascertain whether the HUF is resident or non-resident and step 2 will ascertain whether the HUF is ordinarily resident or not ordinarily resident. Step 2 is to be performed only if the HUF turns to be a resident. For the purpose of Income-tax Law, a HUF will be treated as resident in India, if the control and management of the affairs of the HUF is located (partly or wholly) in India. A resident HUF whose manager (i.e. karta or manager) does not satisfy any of the aforesaid conditions or satisfies only one of the aforesaid conditions will be treated as resident but not ordinarily resident. If the control and management of the affairs of the HUF is located (partly or wholly) in India and the manager (i.e. karta or manager) satisfies both the conditions specified at step 2, then the HUF will become resident and ordinarily resident in India. If the control and management of the affairs of the HUF is located (partly or wholly) in India and the manager (i.e. karta or manager) satisfies none or only one condition specified at step 2, then the HUF will become resident but not ordinarily resident in India. If the control and management of the affairs of the HUF is located wholly outside India, then the HUF will become non-resident. How to determine the residen?tial status of a company? An Indian company is always resident in India, irrespective of the location of its control and management of affairs. In other words, a company incorporated in India will always be considered as resident of India. A company other than an Indian company is said to be resident in India during the year, if the control and management of its affairs for that year is located wholly in India. Every person other than an individual, HUF and company is said to be resident in India during the year, if the control and management of its affairs for that year is located wholly or partly in India. Which incomes are charged to tax in India in the hands of a taxpayer? Contribution by the Central Government or other employer to the account of the employee in case of notified pension scheme refered to in section 80CCD??.? When is a business connection said to be established? If such person habitually secures orders in India mainly or wholly for the non-resident or for the other non-resident under the same management. No business connection shall be deemed to have been established, if the business is carried on through an independent broker, general commission agent or other agent (i.e., a broker or commission agent who is not working mainly or wholly for such non-resident or other non-resident under same management), provided such person is working in his ordinary course of business. Only so much of income which accrues or arises due to such business connection is deemed to be income accruing or arising from India and not the entire income of the non-resident. What are the other provisions under the Income-tax Act which are applicable to a Non-Resident? Refer chart and Table on ‘Non-Resident Benefit Allowable’. The main objective of FEMA is to facilitate external trade and payments and for promoting the orderly development and maintenance of foreign exchange market in India. FEMA deals with provisions relating to procedures, formalities, dealings, etc. of foreign exchange transactions in India. The transactions relating to foreign exchange have been classified under FEMA into two main categories, viz., (1) Current Account Transaction, (2) Capital Account Transaction. Transfer or issue of any foreign security by a person resident in India. Transfer or issue of any security by a person resident outside India. Transfer or issue of any security or foreign security by any branch, office or agency in India of a person resident outside India. Any borrowing or lending in foreign exchange in whatever form by whatever name called. Any borrowing or lending in rupees in wh?atever form or whatever name called between a person resident in India and a person resident outside India. Deposits between persons resident in India and persons resident outside India. Export, import or holding of currency or currency notes. Transfer of immovable property outside India, other than a lease not exceeding five years by a person resident in India. Acquisition or transfer of immovable property in India, other than lease not exceeding five years by a person resident outside India. by a person resident outside India. ? In terms of section 5 of the FEMA, Any person may sell or draw foreign exchange to or from an authorized person if such sale or drawl is a current account transaction provided that Central Government may, in public interest and in consultation with the Reserve Bank, impose such reasonable restrictions for current account transactions as may be prescribed. . Dealing in foreign exchange, etc. Holding of foreign exchange, etc. Exemption from realization and repatriation in certain cases.